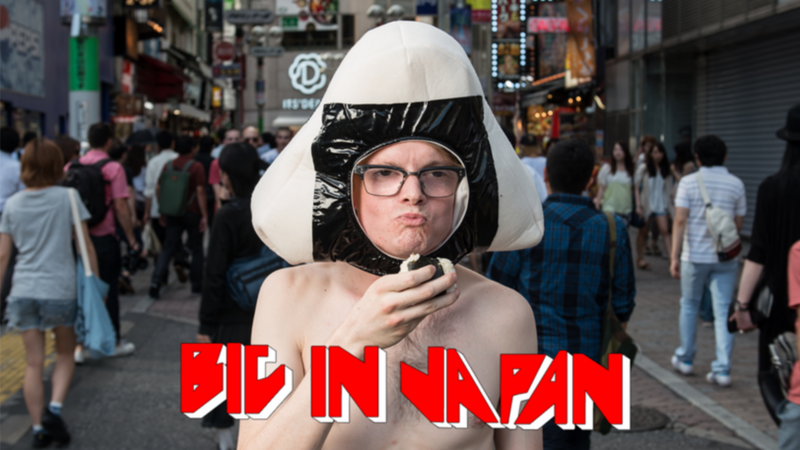 Big in Japan is a documentary that involves presenter and human guinea pig Dave Elliot-Jones—a 30-year-old self-confessed “ordinary person” from Melbourne, Australia—doing “whatever it takes” to experience and understand fame in an outrageous, gonzo-like experiment. Elliot-Jones and his team (co-directors Lachlan McLeod and Louis Dai) relocated to Tokyo for two years to shoot the film, meeting foreigners at various stages of their own journeys to fame. “Social media and reality TV culture reinforce the idea that anyone can become a celebrity. Our goal was to explore fame in the nitty gritty, and answer the question: is fame really all it's cracked up to be?” Elliot-Jones said. The documentary features Australian cross-dressing/heavy metal singing star Rick "Ladybeard" Magarey, as well as veteran American fighter Bob "The Beast" Sapp and Canadian J-pop prodigy Kelsey Parnigoni. The film had a Film Victoria-backed theatrical tour of Australia in January, 2018, with multiple sell-out screenings in five Australian cities. It recently had its international premiere at DocEdge Festival in New Zealand, where it was awarded an encore screening due to its popularity. Walking Fish Productions and UK distributor Journeyman Pictures have announced a global release date for the highly anticipated feature documentary on July 17, 2018. It's now available for pre-order on iTunes and Vimeo. Check out other articles on AAJ for further insight into the weird world of pop and otaku culture in Japan.